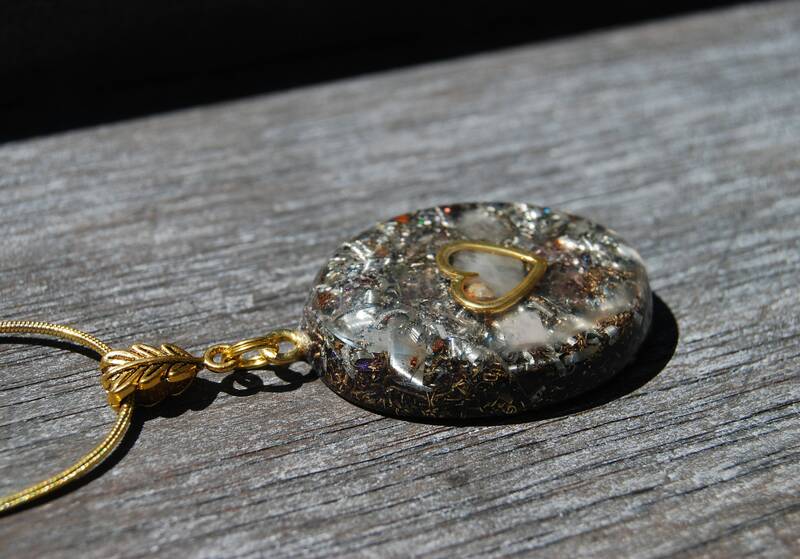 This lovely Orgonite® pendant necklace contains aluminium,bronze, brass and copper shavings. 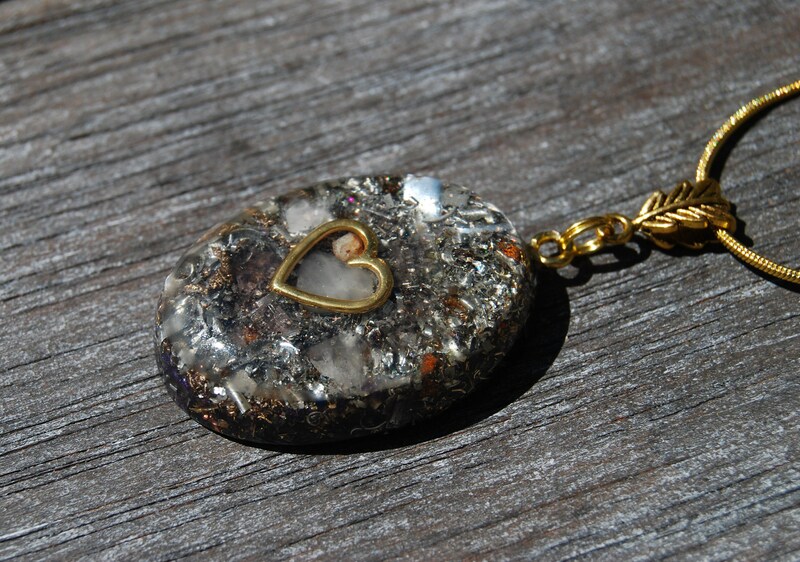 The main stones is are Amethyst and Rose quartz. 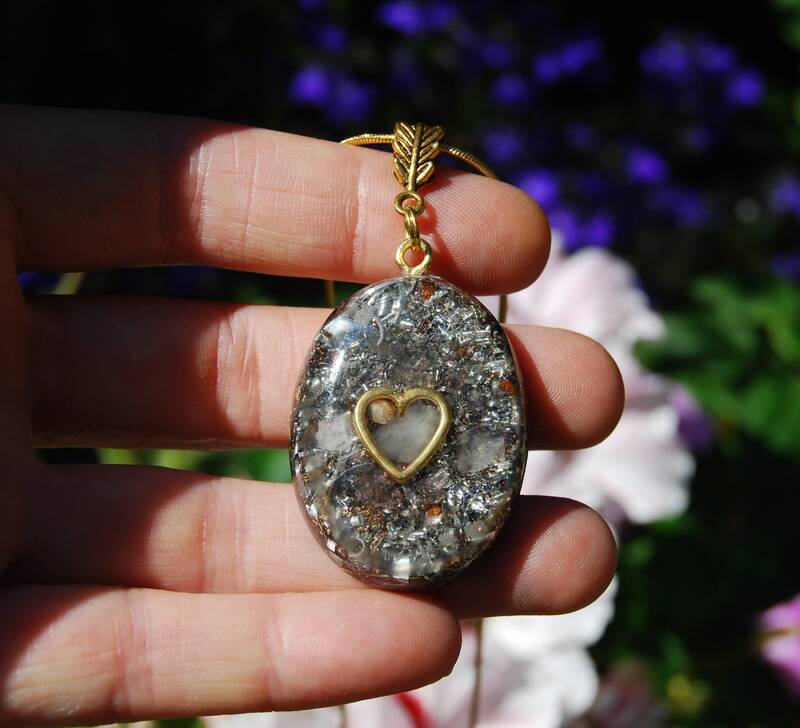 It furthermore consists of Rhodizite (to amplify the other crystals), Pyrite (to enhance), black Tourmaline (to ground excess energy and for protection), Selenite (to clean and charge the other crystals) and clear quartz (for piezo electric effect) in a durable resin setting. 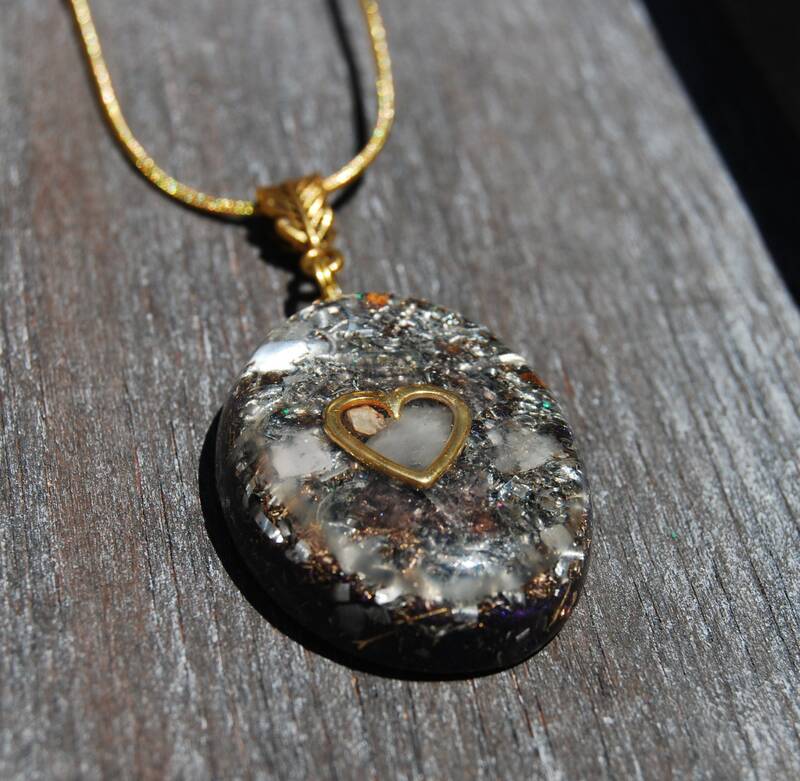 It is based on 50/50 ratio (50% metal/50% resin - the more metal shavings, the better) which is required for the orgonite® to properly clean stagnant energy according to William Reich's research. 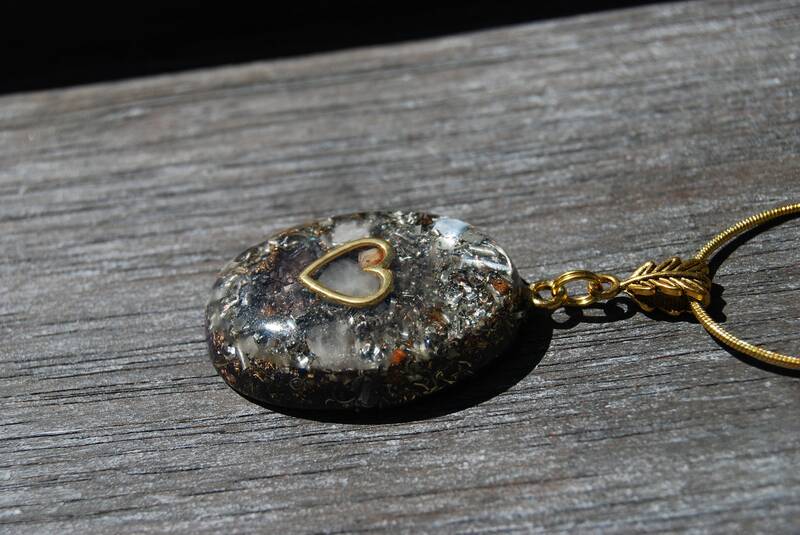 It has a heart 💛 symbol in the front. It comes on an 22 inches / 55 cm 18K gold plated chain with lobsterclasp closing.